Side 1 printed with four-color process and 2 embossed areas. 12pt C1S White Semi-Gloss stock coated with Aqueous Satin. H1 business card slits on right pocket. 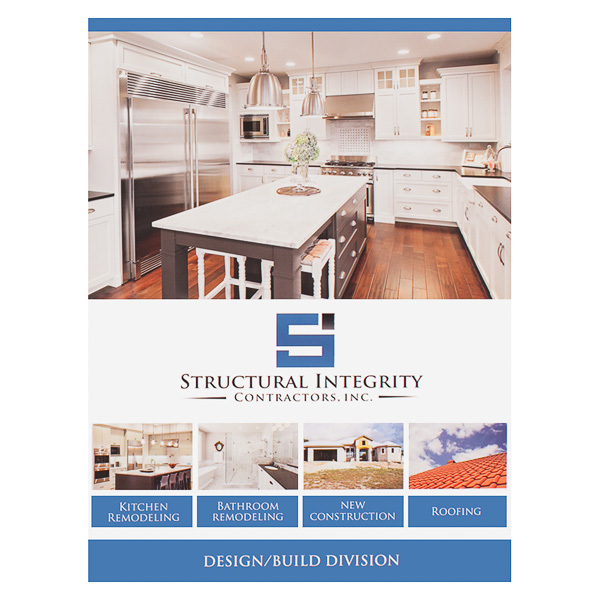 Construction and remodeling brand Structural Integrity Contractors showcases its services with multiple cover photos that depict everything from remodeled kitchens to totally new houses. Blue and white color branding gives the company a professional, established style. The vertical left pocket reveals before and after photos to show off the brand’s capabilities, with the logo and slogan on the right pocket. The back cover features a large photo of a new home just above the contact information. Side 1 printed with four-color process. Side 2 printed with 1 PMS color using light coverage. 100lb White Linen stock uncoated. H2 business card slits on right pocket. 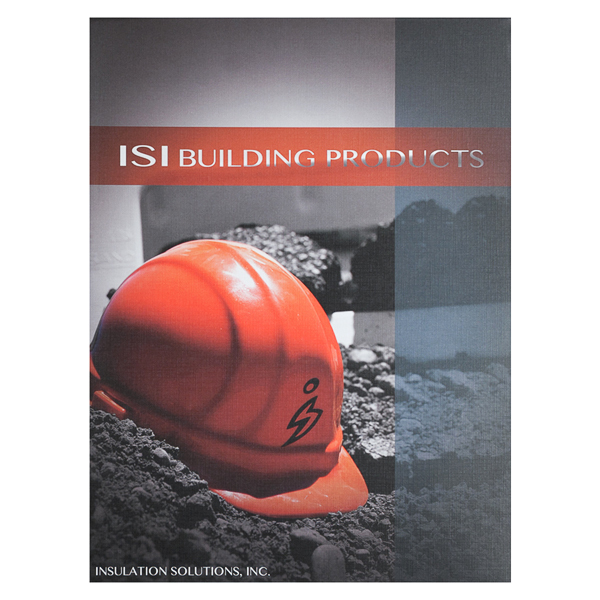 An orange hard hat represents the construction projects for which Insulation Solutions, Inc.'s products are used. The logo on the hat reinforces the brand's identity, and a teal stripe at right ties in ISI's other corporate color. Teal vertical and orange horizontal pockets combine with gray panels to imply reliability, efficiency, and industry. On the back, blue and orange stripes again overlap an image of asphalt, while the ISI logo points to the URL. Side 1 printed with four-color process and 1 embossed area. 12pt C1S White Semi-Gloss stock coated with Aqueous Gloss. 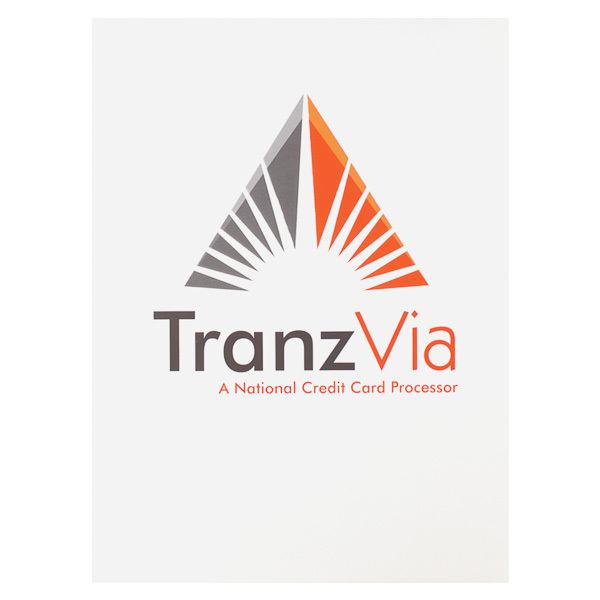 Orange and gray brand colors convey TranzVia's industry and efficiency. Its orange accents brighten the cover and imply quick payment processing, while gray symbolizes a modern and reliable brand. The vertical left pocket acts as an info flap, telling clients about the company. The horizontal right pocket houses a note about rates and a customer service phone number. Full contact information appears on the back alongside info about its parent brand, Wells Fargo Bank. Four-color process printed on Side 1 of uncoated 100lb Smooth White stock. C1 business card slits on right pocket. A man carrying a little girl represents the Human Services Department's role in helping Sonoma County families. The right side of the photo has pink lighting, while the man's blue jacket brings in the agency's other brand color. 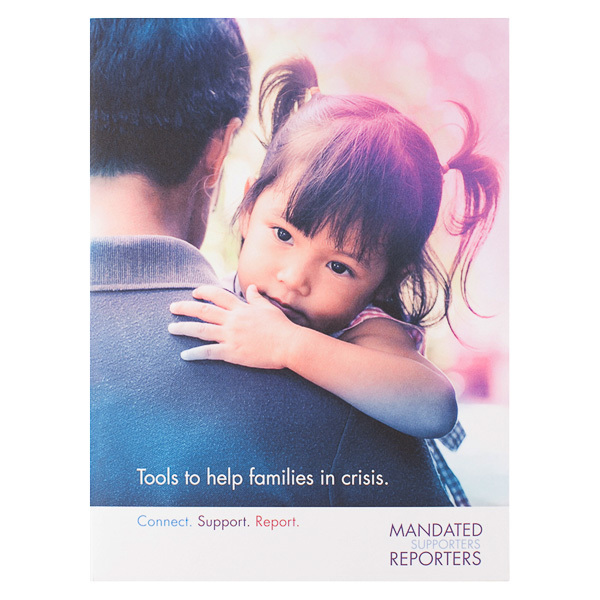 Pink and blue pockets give new mandated reporters info on how to best serve their community. On the back cover, the large, colorful slogan appears above the contact info at the bottom. A standard 4" pocket gives the right interior panel a traditional look—yet when recipients open the cover all the way up, they'll see an unusual vertical pocket on the left. This creates an unexpected visual twist that engages the audience's imaginations and offers two storage methods. The right pocket leaves most of its 8 1/2" x 11" contents exposed so recipients can rifle through them if needed. The vertical left pocket offers more coverage, meaning those papers are extra secure, and has the ability to act as an info panel to tell customers about your company or products. Left Pocket: 4" x 12" vertical pocket, glued both sides.